Do you travel to Vegas often? Well if you have, it’s hard not to know about Don Johnson. Mr. Donald Johnson is what casinos call a “Whale”, usually a welcoming patron to their establishment. A Whale or Highroller are those who will bet large amount of cash in the casino, sometimes as much as $100,000 per hand playing blackjack, for example. In turn the casino will comp (compliment) their guest with lavish rooms, free limo, shows, drinks and fine dining during their stay. In most cases the casinos have the overall advantage or, odds are in their favour when it comes to anyone gambling. Nothing is free! But in Don Johnson’s case, he’s known as the “Killer Whale” feeding off the casinos with his winnings. In 2011, Don Johnson won $15 million in Atlantic City simply because he stacked the odds in his favour before entering each establishment. Basically bringing down the house. Mr Johnson ! Mr Johnson, can I get a selfie with you? You might say he’s a celebrity of sorts, but I can bet the casinos wish they never met him! Fortunate for Vegas, the rest of us aren’t as clever or well trained like Don Johnson. Myself, Vegas hotels love to see me because I’m always playing the slots. I look at it this way – I’m there to have fun, not to make money. And by chance if I do win, usually it goes right back into the hotel by rewarding myself with an evening show, a tour to Grand Canyon, a spectacular fine dining experience or a limo ride down the Vegas Strip. Sorry Don Johnson, it would take a miracle to train me to win! If you’re thinking to go to Vegas, just to make money, think again. Mr Johnson is very experienced and obviously good at what he does. Back to reality, Highroller’s are becoming fewer and fewer in between as the economy still struggles financially. After the deep global recision of 2008, Vegas establishments were shocked into reality, almost losing their shirt in over-development. Sin City’s mega hotels had to reevaluate their overall strategies in order to survive. Today, new development has once again sprung up, with plans well into 2018. New hotels are beginning to open up, such as the recent grand opening of SLS. And just last month, Australian billionaire James Packer is planning for a mega hotel replacing the New Frontier real estate. Taking this all into perspective, you really don’t have to worry about Vegas at all. It’s just different players into a new era, with the old players fighting for ever piece of the pie. Worried CEO’s are trying other strategies to help bring in a profitable bottom-line. When we think of thousands, Vegas establishments are thinking of millions. How can we get millions of profits back into our establishments ? With today’s high stress life-style most of us would burn-out if it weren’t for a quick vacation to let loose. What better place then Vegas! It certainly is affordable. Loving Vegas! Come join us with our fun social Facebook page : Vegas Reviews – After all, it’s all about having fun! 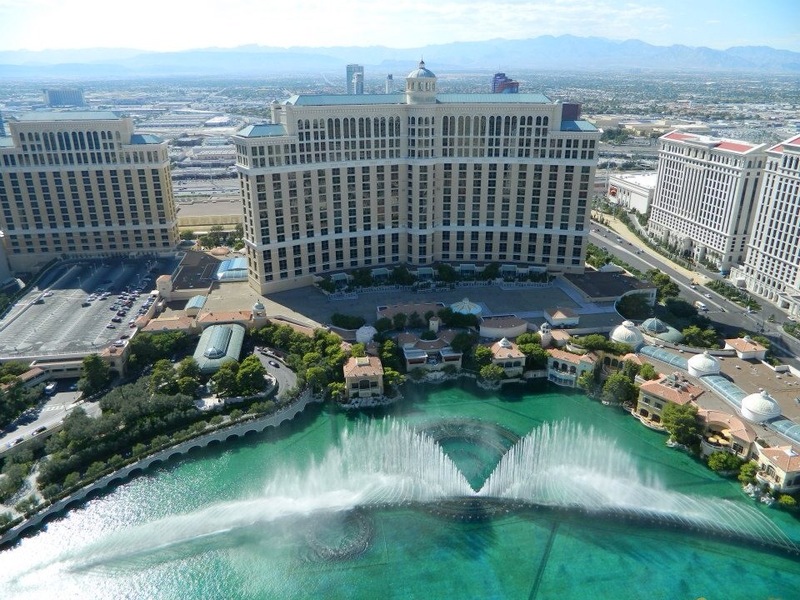 The photo below is of Bellagio Las Vegas, which I captured while at the top of Paris, Las Vegas Effiel Tower. In the past year I’ve been working out, fighting the winter blues,escaping to our joint community condo exercise room. Spring comes and yet I’m bound to the indoor workout room, still waiting for the summer months. Alas, Summer is finally here! I leap for joy, spending my time in the recreational tourist hotspot known as the Okanagan Valley. 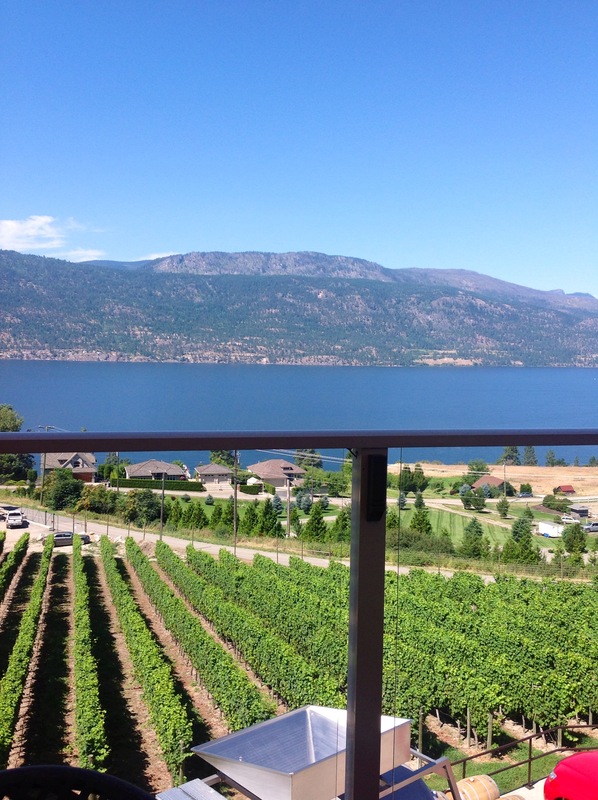 The Okanagan Valley is located in the southern region of British Columbia,Canada. From the North Thompson Okanagan region in Kamloops to the most Southern Okanagan tip of Osoyoss (a hop,skip and jump to the US border). Small cities and towns, like Oliver, Penticton, Summerland, Peachland, Kelowna,Vernon,Armstrong, Enderby and Sicamous lye in between. I was raised in Vernon, B.C. 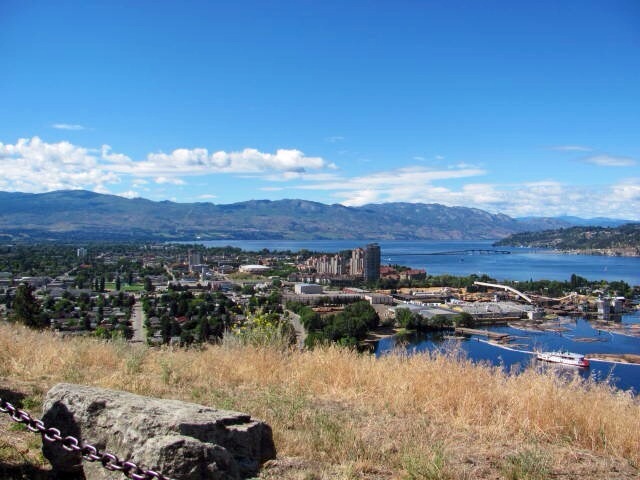 Growing up in a prime recreational community, it’s without saying, most are active, from snowboarding, hiking, waterskiing including an array of water sports or just lay back and suntan on the countless sunny beaches of the Okanagan. The recreational possibilities are endless! Every summer I come back to my hometown to enjoy the countless hiking opportunities from Kelowna to Vernon. 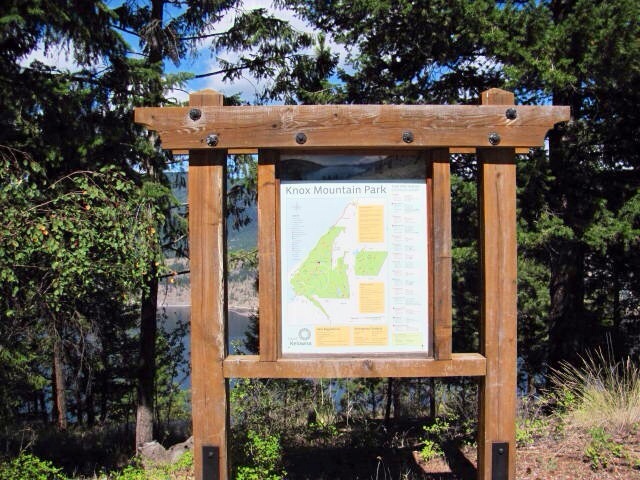 My favourite spots are the Kalamaka Lake Provincial Park, Kettle Valley, Bear Creek to Knox Mountain. While visiting my daughter in Kelowna, I make a point to scale Knox Mtn every morning during the week. By the end of my second week, I’m conditioned enough to start jogging down the mountain. This is when I considered working out fun! The fresh morning air coming off the beautiful serene view of Okanagan Lake sets the scene for my workout. You feel alive instead of the bottled up feeling at your local gym. I believe working out should be fun and not a gruelling chore and shared with your best friend or family. Unfortunately, with everyone’s mixed schedule, it’s sometimes hard to find the time with each other. But you do meet other recreational minded friendly folks on the trail. And I think this is what makes the Okanagan a special place in my heart. Those who love the outdoors and incorporate it into their life-style are the most happiest and friendly bunch of individuals. You know the kind I mean. They greet you with a nice friendly nod or smile, saying,”Good Morning! It’s sure going to be a beautiful day today.” And within that split second of greeting each other, we cheerfully get back to the fun business of hiking before the sun heats up our day. Hiking the Okanagan Valley, you don’t have to be Superman or Bat-woman to attempt the fun workout. Or do you have to be a cross-trainer either. It just takes commitment, a friend and one foot after the other. Be sure to bring water with you and if the hike is deep in the woods, be sure you bring a small pack of survival gear, just in case. 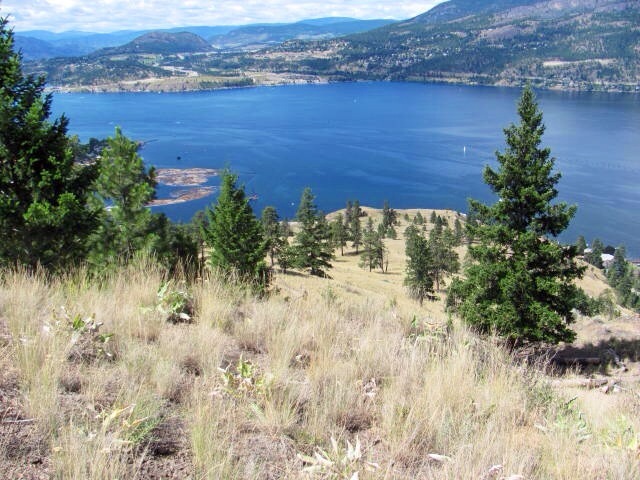 But luckily the Okanagan has a lot of hiking trails to choose from that are close to or in town, like Knox Mtn in Kelowna or BX Trail,Kalamaka Lake Provincial Park and Turtle mountain in Vernon. If you have time, head up to Silver Star Mountain. Take the Chair up to the top and have a fun afternoon hiking down the mountain. Working out can be fun, it’s just a matter of getting out to enjoy it. P.S. Be sure to check out the wineries – there’s over 200 of them to choose from! Alas, my heart sank in sadness. Shocked today by the tragedy of Robin Williams death is more than heartbreaking. A man who dedicated his life to making others laugh, it’s inconceivable to hear he won’t be amongst us anymore. A passionate actor and comedian who entertained the world, bringing happiness into our homes year after year. The first time I heard of Robin Williams, I was fully amused and at the same time fascinated by his character Mork on the Sci-Fi comedy TV Series, Mork & Mindy. 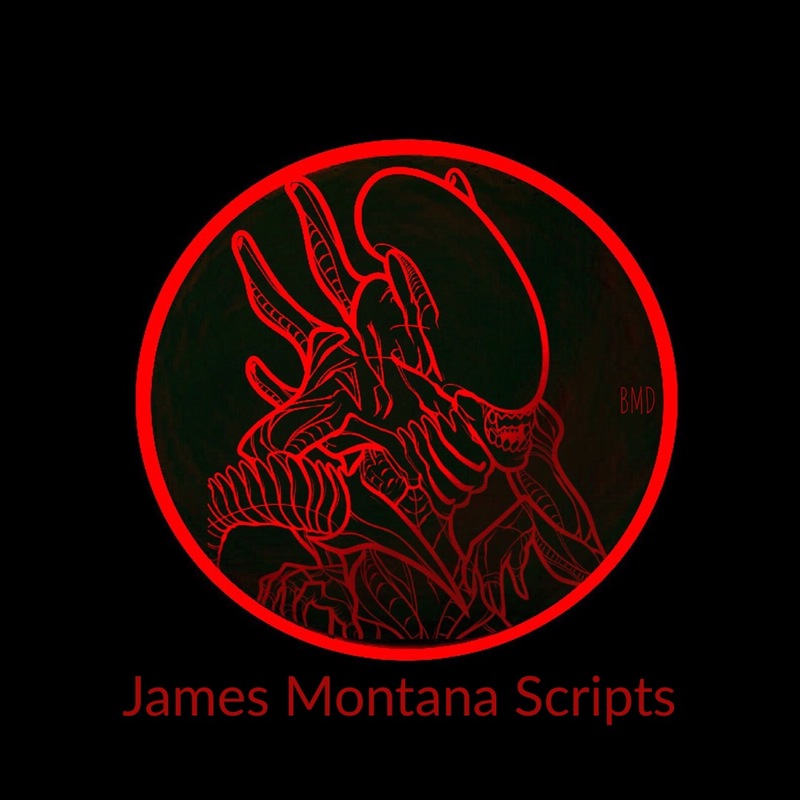 Delighted by those funny words,” “Nanu…Nanu!”, along with the famous Alien handshake. I knew way back then in 1978, we would surely see more of this funny man. Decade after decade our family embraced Robin Williams characters, like the hilarious Mrs. Doubtfire debut in 1993, filling our local theatre to the brim with barrels of laughter. And then, who could forget, JUMANJI where Robin Williams character is trapped in a board game until his grandchildren free him 26 years later. In 1996 we were entertained by the intriguing movie,The Birdcage, introducing the life-style of the gay community. After Mrs. Doubtfire, who would of thought there would possibly be anything more hilarious. But there it was, I couldn’t stop laughing. It wasn’t until this movie did I realize the underlining message, to recognizing the gay community as a family. It was ignorance on my part. Once again in 1997, Robin Williams played in another serious role as a gifted Councillor with the screenplay,”Goodwill Hunting“, winning him an Oscar for best supporting actor. It was also a delight to see him play the role as President Teddy Roosevelt in the fun loving movie, Night at the Museum. Robin Williams professional standing as an actor and comedian made it all so inconceivable to hear of his fight with depression. Oh God! Depression. Damn that word! Damn what it does to a person. Damn society for not taking depression seriously and the overall stigma it places on people suffering from this disease. Unfortunately, depression is not a broken bone, so it’s hard to see and it hides well. Too well. Robin Williams was a great person. He will be dearly missed. It’s sad to see anyone end their life over depression. It’s devastating to the families and friends. Too many are dying in silence. My deepest condolence to Robin Williams family and friends.